Dr. Victor Ferrari serves as the Medical Director of CoolRenewal Spa in Charlotte, NC. Dr. Ferrari has been a recognized leader in the field of cosmetic plastic surgery for over 20 years. He trained at the top residency programs in the country under some of the world’s experts. His passion for creating beautiful, natural-looking results has resulted in his multiple prestigious awards. These awards include “Top Doctor” and “Top Plastic Surgeon” status by several prominent consumer guidance groups such as the “”Guide to America’s Top Plastic Surgeons”, “America’s Guide to Cosmetic Doctor’s and Dentists”, Consumer’s Research Council or America”, “The Castle Connelly Group”, “The National Registry of Who’s Who”, “Marquis Guide to Who’s Who in Medicine and Healthcare”, and “Strathmore’s Who’s Who”. In addition, he has received the coveted “Physician Recognition Award” from the American Medical Association five times in the past 20 years. He has also spoken many times in national and international medical meetings to help instruct other physicians on the latest techniques. He has also appeared numerous times on TV or radio shows to discuss plastic surgery issues since the media recognizes him as an expert in the field. After growing up in Charlotte, he graduated with honors from Davidson College and then the University of North Carolina Chapel Hill School of Medicine. He then did a full 5 year general surgery residency at the University of Kansas followed by 3 years of plastic surgery training at the University of Miami under the world-renowned plastic surgeon; Dr. Ralph Millard, Jr. He was selected to the esteemed position of “Chief Resident” in both specialties. In addition, he also obtained board-certification in both specialties. Less than 5% of all plastic surgeons can match his credentials and even fewer can match his stunning results. In the year 2000, Dr. Ferrari founded Premier Plastic Surgery Center where he performs most of his procedures in his nationally accredited state-of-the art surgical operating rooms. He accepted the position of medical director of CoolRenewal Spa in 2014 because he saw it as a viable option for those patients who wanted to lose excess fat, but weren’t interested in surgery. He is available to discuss any concerns clients may have regarding CoolSculpting or any other body sculpting procedures. 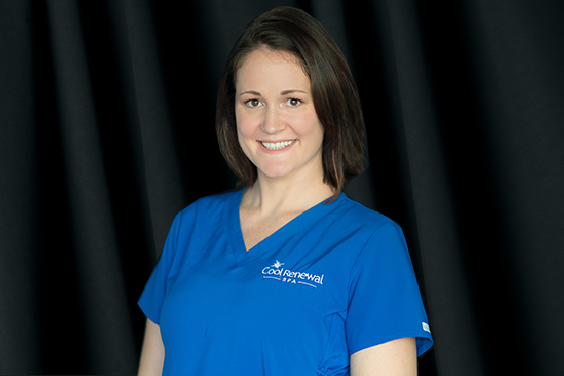 Holly Phifer serves as a Senior CoolSculpting Technician in our South Charlotte location. Holly joined CoolRenewal Spa from a large dermatology practice here in Charlotte. Her clinical experience is extremely varied. She has performed CoolSculpting here at CoolRenewal Spa since 2014 and has performed thousands of treatments. Holly is a Medical Aesthetician, has an Associate of Arts degree and attended the University of North Carolina at Charlotte. She also has earned her completion degree from CoolSculpting University in Pleasanton, CA. Holly is deeply committed to her patients and their quality CoolSculpting results. Stephanie Klimenko serves as our Location Manager of the South Charlotte CoolSculpting Center. Stephanie is an experienced Nurse and CoolSculpting Technician. She has performed several thousand CoolSculpting treatments and has been recognized as one of the most experienced CoolSculpters in the country. She received her CoolSculpting degree from CoolSculpting University in Pleasanton, CA. and recently had the opportunity to go to the very first CoolSculpting Masters University program. This new education is only available to the best of the best and Stephanie is ready to take our CoolSculpting results to new heights. She has her nursing degree from Fortis College in Ohio and her undergraduate degree from the University of Akron. She has her nursing certification in both North Carolina and Ohio. As our South Charlotte Manager, Stephanie is focused on overall patient care and amazing CoolSculpting results. Kristin Pisani serves as our Location Manager at CoolRenewal Spa Langtree in Mooresville, NC. In addition to her role as Manager, Kristen is an experienced nurse and CoolSculpting Technician. She has a number of nursing certifications and has her certification in Advanced CoolSculpting from CoolSculpting University in Reston, Virginia. She joined our team after a long and distinguished career as a skilled post-surgical/rehab nurse. She even worked as a nurse for the Detention Facility in Santa Ana, CA. As our Lake Norman Center Manager, she is dedicated to making sure every patient of CoolRenewal Spa is treated with great service, amazing patient care and outrageous CoolSculpting results. John Keen serves as our Director of Operations and business manager. John has spent his entire career in customer relations and sales. 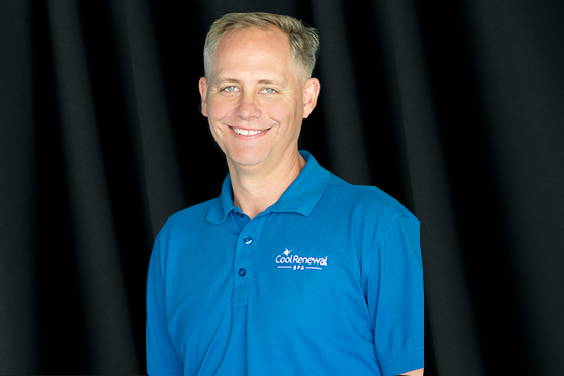 For the past 20 years, John has either been a partner in or owned a number of cruise travel related businesses here in Charlotte. He has won numerous awards in that industry and his companies have been among the most successful cruise agencies in the United States. Every business was designed around taking care of the customer and superior customer service. John is committed to make sure CoolRenewal Spa operates the same, with an outrageous assurance of taking care of the patient. John grew up here in Charlotte and graduated from the University of NC at Charlotte. He is married to Kristyn, who also works at CoolRenewal Spa and together they have 3 girls. Kristyn Keen serves as our primary CoolSculpting Technician in our South Charlotte location. She is a Medical Aesthetician and has a Masters Degree in Health Education from the University of North Carolina at Charlotte. She also has attended CoolSculpting University in Pleasanton, CA and earned her completion degree in performing the CoolSculpting procedure. She has been treating patients with CoolSculpting since 2014 and is extremely experienced. She is committed to making sure she understands every aspect of the CoolSculpting treatment and is a firm believer in continuing education. Kristyn grew up here in Charlotte. Melissa Krivanek serves as our Location Manager at CoolRenewal Spa Langtree in Mooresville, NC. In addition to her role as Manager, Melissa is an experienced nurse and CoolSculpting Technician. Melissa has a long, varied career in the medical field and has always been focused on incredible patient care. Prior to her career in this field, she was Vice President of Sales and Marketing with a large US homebuilder. As our Lake Norman Center Manager, she is dedicated to making sure every patient of CoolRenewal Spa is treated with outrageous service and unparalleled integrity. As with all of our staff, Melissa has had in depth CoolSculpting training at the new CoolSculpting training center in Reston, VA where she earned her advanced CoolSculpting certification. Chelsey serves as a CoolSculpting Technician in our Lake Norman CoolSculpting Center. Chelsey is a Medical Aesthetician and is licensed in both NC and MD. She has been working in the medical spa and plastic surgery field for the past 5 years. She is a recent graduate of CoolSculpting University in Reston, VA. She is originally from Maryland and is new to the Charlotte area. She is excited to treat our patients and make a new home here in charlotte. Haley Bufano Serves as CoolSculpting Technician in our South Charlotte CoolSculpting Center. She is a Medical Aesthetician that recently relocated to Charlotte from Wilmington and is an experienced Medical Esthetician. She has already returned from CoolSculpting University in Reston, VA where she earned her CoolSculpting certification. Haley brings an incredible amount of energy and excitement to every patient experience and loves getting fabulous results for our patients. Brad Jensen serves as our Director of Operations and business manager. Brad has spent his entire career in consulting and the financial services industries. Brad has BA and an MBA in finance/operations. Brad and his family moved to Charlotte in 2001. For the past 20 years, Brad has been completely focused on operational excellence with the needs of the client/patient at the center of every business process. Brad is committed to make sure CoolRenewal Spa operates with the same focus and intensity, with an utmost dedication of taking care of the patient.